What Is the Status of Poker and Casino Games in the State of Texas? What Types of Gambling Activity Are Defined in Texas Gambling Laws? Texas gambling rules expressly proscribe public wagering on gambling games for money. Betting on casino card games is prohibited, including popular attractions like Texas Hold’em Poker, Baccarat, and Blackjack variants. The Lone Star State has taken a hard line on gambling which is outlined in Title 10: Offenses against Public Health, Safety, and Morals. Chapter 47. Gambling. Texas gambling statutes define bets as agreements to win/lose anything of value by chance. However, Texas gambling law does not regard a bet as offers of prizes or awards in skill-based contests or where motorized vehicles, animals or endurance are factored into the equation. 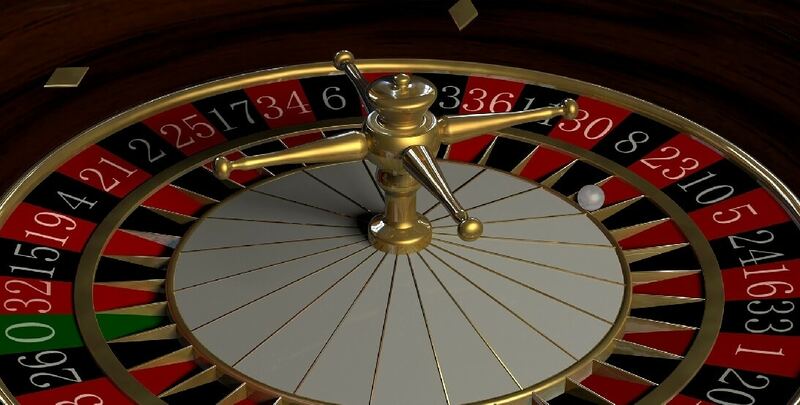 The law regards casino games like Roulette, Video Poker, Blackjack, Keno, Bingo and other games as gambling games, including the electro-mechanical devices that may be used for gambling purposes. However, if casino card games, table games or other games are provided with bona fide amusement purposes in mind, they are regarded as legal. An important distinction must be made in Texas gambling law between a public place and a private place. A private place is defined as one which does not permit entry to the public. It expressly excludes nightclubs, taverns, restaurants, highways, streets, hospitals, hotels, motels, office buildings, stores, transportation facilities etc. According to Texas gambling regulations, a person commits an offense when he/she places a wager on the outcome of a contest or a game, on political appointments, election results, or engages in betting activity on any game including gambling devices, ball games, dice games, card games or slot machine games for real money. Texas gambling legislation regards any contraventions of these laws as a misdemeanor. Further, any person, persons, or agents that are found to be keeping a gambling place will be committing an offense, even if the person permits another individual to use the venue as a place for gambling activity. Communicating gambling information is also considered an offense in the State of Texas. Legislation in the State also provides clear guidelines on the rules and regulations pertaining to gambling paraphernalia, gambling equipment, and gambling devices. Under current legislation, these are all punishable offenses. The subsections of Texas gambling legislation are all effective until April 1, 2019, after which time they may be subject to review. If all these conditions have been met in a gambling-style game, it will be deemed gambling activity and illegal under Chapter 47 of the Texas Penal Code. However, the law has certain loopholes, especially where prizes are less than $25 with carnival-style contests, or when the prizes are valued at less than $5 and the games are for amusement purposes. When it comes to casino nights and poker tournaments, Texas gambling laws permit individuals to play casino games like Roulette, Blackjack, Baccarat, Slots and Poker in their own homes i.e. private places. It is fully permissible to bet real money and win real money, but all the money must be distributed to the participants (the players) and none of it must be maintained by the house in the form of a rake. As such, it is impossible for a nonprofit organization to claim gambling revenues as a form of raising money when the house cannot keep a cut. The restrictive nature of gambling legislation in Texas offers a degree of leniency when it comes to Greyhound dog racing, horseracing, social gambling, charitable raffles, bingo and so forth. For the sake of simplicity, it can be assumed that all chance-based betting games are illegal, other than horseracing and dog racing. Remember that gambling legislation relies on a definition of gambling as, ‘An agreement to win or lose something of value solely or partially by chance’. Gambling aficionados have made the point that games like Blackjack and Poker rely on skill and not chance, however this does not exempt them according to the broad gambling definition in code section PEN 47.01 ET SEQ. ; CIV.ST.179E. Further, maintaining a gambling establishment in the state of Texas is expressly prohibited. Texas gambling legislation covers the full suite of casino games including sports games, betting games, slots games, table games, card games, and others. Gambling laws in Texas does not permit casinos. Since keeping a gambling place is prohibited, there is no way for non-Native American land to host casinos. This is an important caveat, since there are many gambling establishments on Native American land. They are not subject to Texas state gambling legislation. One of the major differences in gambling legislation in Texas pertains to social gambling. These games are largely characterized by private card games, bingo games, and raffles. However, if any proceeds are channeled to the house then this is considered in violation of Texas statutes. According to gambling regulations, only the winner of the bingo game or the raffle is allowed to receive 100% of the proceeds. All participants in these gambling games must have an equal chance of winning. What Is the Future of Gambling in Texas? Lawmakers have taken a hard line on gambling in the State of Texas. This inflexible position is likely to remain in place, despite repeated attempts by several lawmakers to introduce a softer stance to gambling-related activity. At the time of writing, there were no plans in place to introduce slot machine games, card games, table games and others at horse racetracks or to establish casinos in the state. The gambling industry in Texas has tempered expectations of increased liberalization, owing to restrictive budgets, lack of political capital, and no incentive to use gambling as a means of filling state coffers. One bright spark for gambling fans is the proposal to make fantasy sports betting legal throughout Texas. The relatively conservative legislature in Texas is struggling with sourcing additional revenue streams for increasingly lean budget years, and the moral dilemma of using gambling revenues to fill government coffers. There is simply too much at stake by permitting gambling activity versus the benefits that can accrue from it. In 2016, the Texas Attorney. General, Ken Paxton ruled that daily fantasy sports betting was illegal betting. Regardless of the buzz around daily fantasy sports, the Texas Constitution proscribes gambling activity, except for pari-mutuel betting on dog races and horse racing, the Texas lottery, charitable raffles, and charitable bingo. If House Bill 1457 is passed, it would be an illegal expansion of gambling, and be struck down by the Texas Legislature. It’s an entirely different ballgame when it comes to casino expansion in the state. Many lawmakers want to allow the State of Texas to permit the construction of casinos in rural areas, and coastal enclaves. It is estimated that Texans spend an estimated $2.5 billion annually at casinos in neighboring states. This would bring in as much is $1 billion annually through tax legislation. One of the major sources of contention between state lawmakers and racing officials is electronic machines. Many of these machines are similar to slot machine games, and supporters believe this will help to keep the racetracks in business. It also opens the door for a form of casino-style gambling in Texas. Proposals to expand benefits from gambling activities to police officers, and their families are currently under consideration at the Texas House. Where are the Casinos in Texas? Since casinos are not permitted in the State of Texas, the only places where they are allowed are areas exempt from state law, the Native American reservations. Multiple poker rooms, bingo parlors, slot machine venues, horse racing, Greyhound and simulcasting establishments are available throughout Texas. Overall, there are some 18 casinos scattered throughout the state with 4,035 slots machines and gaming machines. In total, there are 65 table games in Texas with betting activity starting as low as $0.01 and going as high as $500 per wager. The pari-mutuel facilities and 18 casinos are spread across 12 cities in Texas. Galveston is home to 5 casinos, and the biggest establishment is Kickapoo Lucky Eagle Casino with 2,800 gaming machines. The second-largest casino is Naskila Entertainment, which features 365 gaming machines. It is unlikely that online gambling will make a debut in Texas anytime soon. If you are not a fan of gambling and you just want to try your luck without risking money, visit caesarsgames.com! We offer dozens of free slot games you can play on any occasion, from your PC or mobile device.